Basilar artery occlusion (BAO) is a life threatening condition. Even if treated, mortality rates are still significant. In light of this, Beyer et al evaluate the cost-effectiveness of different non-invasive imaging strategies in patients with possible BAO. Specifically, four imaging modalities were studied: non enhanced CT (NECT), duplex ultrasound (US), CT angiogram of the head (CTA), and MRI/MRA. Beyer et al employ a decision model where NECT, CTA and MRI were evaluated separately and then compared to HECT, CTA and MRI in addition to a screening US. “Treatment” was initiated if there was a positive finding such as a stroke on MRI or e/o basilar thrombus. One month mRS score was used to measure short term outcome. A Markov model with a 1 year cycle length was developed to estimate long term outcomes and costs. Costs were based on 2013 Medicare reimbursement rates, including both technical and professional fees. The results extrapolated from the model show that for a reference case of a 63 year old male with possible BAO, CTA dominated all other strategies. CTA proved to be the most cost effective in 96% of the simulation runs and 80% of the mild symptom analysis. The least cost effective strategy was to perform NECT alone. The results were similar for women. Ultimately, BAO work up was most cost effective when pursuing CTA alone as the first line screening tool. Although Ultrasound is a low cost tool it is ineffective it this instance due to its’ low sensitivity for picking up a BAO, technician variance, and ultimate need to move towards pursing either an MRA or CTA. Limitations of the study include that this is ultimately a model; and it is in regards to a very rare disease which can present with vast variety of clinical symptoms. It is very important to consider the clinical picture when evaluating a BAO patient. If a patient clinically appears to have BAO (based on exam and risk factors), they should be worked up for such a process regardless. Additionally, if there are symptoms are concerning enough for a basilar thrombus, treatment can and should be pursued even prior to a CTA. In this particular example, a non contrast head CT should be pursued to rule out a bleed, and IV-tPA should be given as soon as possible. A CTA can be pursued afterwards to verify whether or not a large vessel thrombus exists in consideration of a thrombectomy. While the authors of this study modeled IV thrombolysis as a treatment, they omitted IA therapies. It would be interesting to see how the results may change with regards to cost effectiveness. I surmise, it would show a similar result. I think it is safe to say that CTA, being fast, reliable and available at most institutions is the first line agent to ruling out a BAO; especially in someone who is of high pre-test probability of having a BAO. At this point, it will not likely change our management, but it is comforting to know that our practice of ruling a patient out for such a devastating process is also the most cost effective strategy. This was a retrospective analysis of standard deviation in the BP variability of acute ischemic stroke patients from the landmark CHHIPS and COSSACS trials. It looked at the effect on death and disability (mRS 4 and above) at 2 weeks. They found that BP variability had no significant impact on death and disability at 2 weeks. The CHIPPS and COSSACs studies had different BP management strategies where the former involved active BP lowering and the latter involved simply holding or continuing home BP meds. The treatment periods and severity of patients’ strokes (median NIHSS 4 vs 9) were also different. The assessment of death and disability at 2 weeks is an unusually short window as the standard time point for analysis in most stroke studies is 3 months. This may even be too early a window as stroke patients continue to recover well beyond this time period. A recent publication on the 12 month outcomes of IMS-III showed that patients with severe strokes did have less disability after thrombectomy whereas no difference was found at the original 3 month mark. Another limitation of this study is that it lumps all strokes together. 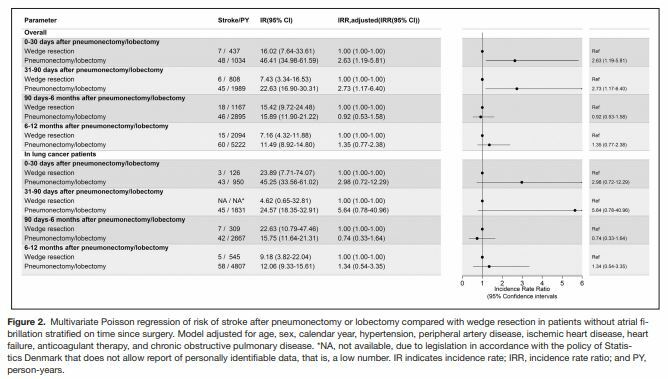 bp variability may very well be an important prognostic indicator in patients who have proven large vessel stenosis or occlusion and a subgroup analysis might demonstrate that. The 2 studies were not well matched by vascular territory of incident stroke, but both studies were underpowered to begin with. The study takes casual cuff measurements and doesn’t measure true variability as an arterial line would. but then again, even if a study were to show that A-line BP variability measurements predicted outcome, it probably wouldn’t be cost effective or practical to put an A-line in every stroke patient. The study population was mostly white and not well matched between COSSACS and CHHIPS for this demographic as well as several others. How does this study change my practice? No effect. White matter perivascular spaces are increasingly being recognized as markers of small vessel disease such as cerebral amyloid angiopathy (CAA). In recent times grading systems have been set up to quantify the number of perivascular spaces in the basal ganglia and centrum semiovale. The authors of this pilot study attempted to examine the association between the burden of overall centrum semiovale perivascular spaces (CSO-PVS) and deposition of amyloid as quantified by a PET scan. Non demented patients with intracerebral hemorrhage, graded as having probable cerebral amyloid angiopathy were included. Additionally healthy subjects with no cognitive complaints and normal mini mental exams were also enrolled. All subjects underwent a Pittsburgh Compound B (PiB) PET scan as well as a 3 Tesla MRI scan. MRI scans were reviewed independently and in a blinded fashion. Linear regression was used to quantify the relationship between the degree of amyloid deposition in the cortex and CSO-PVS grade. A total of 31 patients (11 with amyloid angiopathy and 20 healthy subjects) were recruited. PiB retention was higher in patients with CAA vs. healthy patients (p = 0.0082). There was a linear increase in PiB distribution volume ratio (DVR) as the CSO-PCS score increased across the whole group however this association was not seen in patients with probable CAA only. PiB retention increased with age and was negatively associated with brain volume. There was no correlation observed between brain volume and CSO-PVS grade. This study adds credence to the drainage hypothesis and suggests that impaired drainage by progressive amyloid deposition may lead to retrograde dilatation of the perivascular spaces however is plagued by several limitations – a) the number of subjects is very small, b) other small vessel disease risk factors are not accounted for and c) although the patients are clinically non demented/ healthy, they still may have pathological evidence for amyloid deposition/ Alzheimer’s disease pathology. The authors acknowledge these limitations and suggest that these are preliminary results. I agree with that assessment, and that this study needs replication in a larger cohort. Left atrial enlargement (LAE) is associated with paroxysmal atrial fibrillation (AF), first-ever ischemic stroke, and detection of AF after cryptogenic stroke. In this report, Yaghi et al evaluated the association of LAE and recurrent stroke. The authors identified first-ever ischemic stroke patients from the Northern Manhattan Stroke Study (NOMASS). 95% of the enrolled patients completed an electrocardiogram and cardiac telemetry monitoring with their first stroke. Transthoracic echocardiogram (TTE) was completed within three months of the initial infarct and the size of the left atrium (LA) was measured by its anteroposterior diameter. In cases where accurate measurement was not possible, a qualitative assessment was completed – there was excellent agreement between the two methods in the patients that had both done. Normal LA size was categorized into four groups – normal, mild LAE, moderate LAE, and severe LAE. Over a five year follow-up period, stroke occurrence and etiologic subtype (based on the TOAST (Trial of Org 10172 in Acute Stroke Treatment) criteria) was tracked. The primary outcome for this study was total recurrent ischemic stroke and the secondary outcome was combined recurrent cardioembolic or cryptogenic infarct. 529 patients with a first stroke had LA size data available. The mean age was 69 years and average LA diameter was 40.6 mm (standard deviation 6.3 mm). 279 (53%) had normal LA size, 167 (32%) had mild LAE, and 83 (16%) had moderate-severe LAE. Over a median of 4 year follow-up period, 80 patients (15%) had recurrent stroke; 65 were ischemic, of which 13 were cardioembolic and 16 were cryptogenic. LA diameter and moderate-severe LAE were not associated with the risk of total recurrent ischemic stroke. However, those with moderate-severe LAE had a greater risk of recurrent (combined) cardioembolic or cryptogenic stroke (unadjusted model HR 4.35, 95% CI 1.81-10.48). When adjusting for baseline demographics and risk factors (including AF, heart failure) the association was still present (adjusted HR 2.83, 95% CI 1.03-7.81). Mild LAE was not associated with recurrent cryptogenic or cardioembolic stroke. LA diameter (assessed as a continuous variable) was also associated with a higher risk – adjusted HR 1.55 per SD change in LA diameter (95% CI 1.01-2.37). Finally, none of the patients with moderate-severe LAE were found to have AF at time of recurrent infarct. This study demonstrates that, in patients with ischemic stroke, moderate-severe LAE is an independent risk factor for recurrent cryptogenic or cardioembolic infarct. Evaluation for LAE, along with other clinical markers of atrial dysfunction – N-terminal pro-brain natriuretic peptide, p-wave terminal force in lead V1 on EKG, and paroxysmal supraventricular tachycardia – may identify a population with elevated risk of stroke even in the absence of paroxysmal AF. This may allow for development of improved risk prediction models for risk of stroke and systemic embolism in patients with an “atrial cardiopathy” (of which paroxysmal AF may only be one manifestation). Additionally, this could identify a group of cryptogenic stroke patients who benefit from anticoagulation over antiplatelet therapy. An important limitation to this study was that prolonged AF monitoring was not routinely conducted, and thus occult AF may not have been detected in some of these patients. Also, LA volume was not assessed in this study, which is a better reflection of LA size than its diameter. Stroke is the 2nd leading cause of death in the world. The Unites States has made some improvement, as announced this year at the ISC by dropping to 5th from 4th, but stroke remains a leading cause of mortality. Cancer occupies the #2 slot in the Unites States and represents another formidable illness. Besides making the infamous “top 5”, how do these two disease processes relate? When facing the patient with a diagnosed malignancy, how common is the occurrence of a stroke in the following years? Selvik et al. in the Norwegian NORSTROKE study found 15% of the patients enrolled in their large patient registry had a diagnosis of cancer prior to their ischemic stroke with the most common mechanism cardioembolic and a mean age of 76. While the risk of both cancer and stroke increase with age, what is the relationship between cancer and ischemic stroke among young adults? Aarnio et al. conduct a thought provoking study through their evaluation of the frequency of cancer and its association with long-term risk of death among young patients (15-49) with first-ever ischemic stroke. The author points out that the prevalence of cancer has been previously cited to be higher among young stroke patients compared to the general population. 1008 patients with first ever ischemic stroke (defined using clinical and imaging criteria) from a 13yr period were identified from a Finland hospital discharge database. Cancer diagnoses were extracted using ICD-9 codes as well as discharge diagnoses and verified. The authors only considered tumors with invasive features as cancer and excluded basal cell carcinoma and in situ lesions. Cancers diagnosed before stroke or during hospitalization for stroke were classified as pre-stroke cancers and those diagnosed after discharge as post-stroke. 77 (7.7%) of the patients had cancer diagnosed at any time with 36 before stroke onset, 3 during stroke hospitalization and 38 after discharge. Median time from pre-stroke cancer to ischemic stroke was 4.9 years and 6.7 years from stroke to post-stroke cancer diagnosis. Lung and respiratory tract cancer was the most common etiology. Interestingly, there were no cancers diagnosed in patients less than 30yo. The cumulative risk of death was significantly higher among the patients diagnosed with cancer regardless of the time of diagnoses in relationship to the occurrence of stroke (19.7% vs. 68.6%). Active cancer without any other apparent cause for stroke was the strongest factor associated with death compared to those without cancer. How does this knowledge change our management as vascular neurologists? Is there a particular stroke mechanism we should look for in this patient population? 17/38 patients diagnosed with cancer after discharge had an “undetermined” stroke etiology. Should we be screening all young patients with a cryptogenic etiology for malignancy? A study published in Stroke in 2008 (mean age 52) found first-ever stroke as an initial presentation of systemic cancer in 0.4% suggesting it is a rare event. Should we nevertheless be prompted to act considering the unfavorable survival among this cohort of young stroke patients? While a systemic cancer workup is costly and should not be routinely performed, this study suggests that it could be considered in young patients in whom a stroke etiology is unclear. Cryptogenic stroke is common, frustrating for both the patient and providers, and can be a tough nut to crack. Recent studies – namely CRYSTAL AF and EMBRACE – confirmed the long-standing hypothesis that some proportion of cryptogenic stroke was actually caused by occult atrial fibrillation, unmasked by implantable loop recorders. These data were paradigm shifting in my practice, compelling prolonged outpatient telemetry in patients with the unofficial but surely familiar designation of cryptogenic-suspect-embolic stroke. If and how these data affected practice patterns broadly speaking remains to be seen and published. Some early data in this regard come from some German colleagues who surveyed stroke directors around the country to survey their practice as regards cryptogenic stroke. This survey was devoid of patient-level data, opting for estimations of practice patterns, but still provides valuable insight into stroke workup practice patterns. The main findings from this survey of 179 stroke directors (~72% survey response rate) were the differences in duration and means of continuous cardiac monitoring as well as the great difference in duration of monitoring of patients with transitory acute neurovascular episodes (e.g., “TIA”) versus those with demonstrated ischemia. In their survey, two thirds of patients with ischemic stroke underwent >48h of cardiac telemetry whereas only one in five patients with TIA had that duration of monitoring. Furthermore, in contradistinction with the aforementioned encouraging data on loop recorders, utilization was very low in German stroke units (~1 in 10 patients) and very few had a defined mechanism for ECG or telemonitoring follow up even though most providers (~90%) identified that kind of follow up as important. These data are interesting and potentially representative of North American practice: we all acknowledge that prolonged cardiac telemetry is likely to help us chip away at a fair proportion of cryptogenic strokes, but exactly how? Is a month long enough? Is an implantable recorder safe and effective enough to justify its use in this context? Will all of this be obviated by a trial of empiric NOACs after cryptogenic-suspect-embolic strokes? Wait…aren’t there other non-occult-atrial-fibrillation mechanisms – some yet undiscovered – that cause a cryptogenic stroke?! Clear as mud, but this is a start. The cerebral vasculature, as well as unruptured intracranial aneurysms (UIAs) are complex biologic entities. Their behavior cannot be ascribed to just their location and size. A multidisciplinary international research group published a consensus statement in Stroke (Stroke. 2014;45:1523-1530) in 2014 which echoed this sentiment. We do not have a prospective randomized double blind clinical trial to base decisions on whether and how to treat UIAs. The TEAM trial aimed at assessing the role of prophylactic vascular intervention of UIAs, but never materialized due to poor recruitment. In order to advance the science of treating UIAs, we need risk prediction models of rupture. PHASES score was proposed in 2013 by Greving et al where pooled data from 8382 participants in six prospective cohort studies was used, and age, hypertension, history of SAH, aneurysm size, aneurysm location, and geographical region were the predictors of 5 year rupture risk. In addition, risk prediction models for complications of interventions (surgical vs endovascular) are also needed in order to carry out an informed decision analysis on a patient with UIA. In the current study, Backes et al carried out a cross-sectional survey of functional status, working capacity and life satisfaction in 159 patients treated with microsurgery or endovascular intervention for UIA between Jan 1st 2000 and Jan 1st 2013. The questionnaire was sent out in June 2014, and 69% (110) patients responded. 81% patients reported complete recovery after treatment. With regards to life satisfaction (measured using validated LiSat score), patients with high life satisfaction decreased from 76% before treatment to 52% during recovery, and 67% in the long term. These findings underlie the important concept that in addition to aneurysm and patient characteristics, treatment effects also should play an integral role in the decision analysis of whether and how to treat a UIA in a patient. An unnecessary intervention may end up doing more harm that good. Blood-brain barrier (BBB) dysfunction is seen in many neurological conditions, including cerebrovascular and neurodegenerative disorders. Infection after stroke is known to worsen clinical outcomes and prior preclinical studies have demonstrated that bacterial infection has effects on the BBB. In this report, Doll et al aimed to evaluate the molecular and cellular mechanisms by which this occurs. 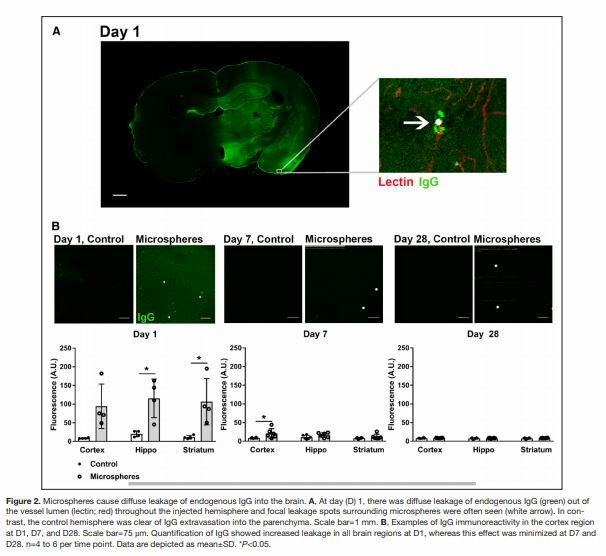 They tested the effects of bacterial infection by mimicking it in a mouse model of stroke with intraperitoneal lipopolysaccharide (LPS) injection prior to transient middle cerebral artery occlusion (tMCAO). BBB permeability was tested by assessing the penetration of Evans blue, a dye that has high affinity for albumin, which enters brain tissue when the BBB is compromised. They found that LPS exposure significantly increased infarct volume and cerebrovascular permeability after tMCAO compared to saline-injected controls. There was higher cerebral neutrophil accumulation, measured by flow cytometry 6 hours after tMCAO, in the LPS-treated mice compared to controls. Along with this, the neutrophil to lymphocyte (NLR) ratio was significantly decreased in the blood and spleen of LPS-treated mice. In a cultured cerebrovascular endothelial cell model, they found that LPS-induced signaling through toll-like receptor 4 (TLR4) compromised oxidative phosphorylation without causing cell death. This occurred through reduction in the expression of multiple mitochondrial respiratory chain proteins. Blocking the respiratory chain pharmacologically with rotenone or oligomycin (inhibitors of respiratory chain complex I and V) in this in vitro model led to increased cell permeability and disruption of cell-cell tight junctions. This was then confirmed in vivo – the authors applied rotenone to the epidural surface of mice and showed that led to increased BBB permeability compared to controls. Finally, they then were able to demonstrate that treating mice with rotenone prior to tMCAO led to increased BBB permeability, higher stroke volumes, and worsened neurologic deficits. This is the first study suggesting that bacterial infection may worsen the injury resulting from stroke by affecting mitochondrial metabolism in the cerebrovascular endothelium. It gives further insight into pathophysiologic mechanisms that, if also occur in humans, may provide novel pharmacologic targets for prevention/reduction in cerebral edema and potentially improving overall outcomes after stroke. Continual improvements in neuroimaging capability and molecular imaging techniques may allow for improved evaluation of BBB permeability in human subjects. This report should have implications for future translational research. The regeneration of infarcted brain tissue has been a sought after feat in the neuroscience field since the conceptualization of stroke. This challenging and often elusive goal has been likened to a “holy grail” for those most concerned with this endeavor. Hundreds of molecules have been potential solutions to this puzzle, but only few have proven worthy of pursuit. One such molecule is actually an antibody called GSK249320. This antibody blocks the axon outgrowth inhibition molecule known as myelin-associated glycoprotein (MAG). So, it’s an anti-MAG antibody. MAG is a good target since it has been shown to be up-regulated in peri-infarct tissue after ischemic damage. In 2013, Cramer and colleagues published a study in Stroke proclaiming the safety and tolerability of escalating doses of GSK249230 in 42 post-stroke patients. In the present study, Barbay et al set out to move toward proving efficacy of GSK249320 by showing its ability to enhance recovery of skilled use of the forelimb in a non-human primate model of focal cortical ischemia. Essentially, the goal was to find out if the effects are evident in the organization of movement representations in spared cortical areas. The study involved 9 monkeys that were either assigned to receiving the drug or placebo. First the monkeys were all taught a specific task that required the use of their distalThey were all taken to the OR and given a stroke in the distal forelimb representations (DFLs) in primary motor cortex. Afterward, they either got the drug or placebo at 24-hours post-stroke, and then weekly for seven weeks. At the end of this time period, the two groups were compared to evaluate for their ability to complete the previously learned task. Then, the monkey brains were analyzed to see if there were anatomic and histologic correlations. This study found that the experimental group had almost immediate improvements compared with the control group. Their functional outcome was significantly improved at day 3 and day 9 (second treatment). There were some discrepancies in the analysis of the cortical areas that were explained by the length of the study. But, overall there were also significant changes neurophysiologically in the experimental groups stroke sites. Since the results of the MR CLEAN trial were announced at the World Stroke Congress in Istanbul last October, stroke physicians have been grappling with the question of how to interpret the panoply of positive trials of endovascular therapy (EVT) for acute stroke. Five trials published this year (MR CLEAN, ESCAPE, EXTEND-IA, SWIFT-PRIME, REVASCAT) show that thrombectomy, particularly when a stent retriever is used, is beneficial for patients with moderately severe or severe stroke if they have a relevant vascular occlusion, a small infarct core (seen as a relatively normal non-contrast CT) and, in some trials, a demonstrated large perfusion abnormality. Time to treatment is important, as the therapy is best for those patients treated soon after symptom onset, particularly if they also received standard IV tPA. When deciding how the findings from these trials apply to routine clinical situations, and when selecting patients for treatment, stroke neurologists must understand the differences in inclusion and exclusion criteria, analytical methods and response rates among the trials. Because of these differences, translating the benefits seen in these trials into clinical practice will be challenging. Because patients presenting to the ED outside the standard IV tPA window are now candidates for EVT, emergency department triage policies must be modified. Since EVT is effective for patients with proximal arterial occlusions, radiology departments will have to include vascular imaging in the standard pre-treatment imaging protocol). For EVT to be beneficial, interventional teams must be deployed quickly, sometimes before the diagnostic work up is completed or IV tPA administered, and more patients will have to be transferred to hospitals with an interventional team. Hospital systems and pre-hospital providers will have to develop new pathways, protocols and networks. National organizations will develop guidelines to help address these challenges, but local conditions and resources may constrain their implementation. A major challenge will be ensuring equitable access to care for all stroke patients, regardless of location. As a stroke community, we have overcome similar challenges. When the NINDS tPA trial was published, the public and professional perception of stroke was that of therapeutic nihilism; since then we developed a very robust integrated stroke system of care that spans the pre-hospital to the rehabilitation stage and stroke patients are now triaged with the highest priority by paramedics, emergency physicians, radiologists, neurologists and others. These are good times to be a stroke neurologist. The new knowledge we gain from these trials will benefit our patients. We are faced with the challenge of translating these research findings into practice, develop protocols and systems to ensure equitable timely access to effective beneficial therapies to as many eligible patients as possible, and build on the excitement of these results to seek even more effective therapies that apply to most stroke patients.